Dr Lynne Gabriel, Chair of British Association for Counselling and Psychotherapy. Professor Darian Leader, Representative of the Alliance for Counselling and Psychotherapy Against State Regulation. Julian Lousada, Chair, British Psychoanalytic Council. Professor Andrew Samuels, Chair, United Kingdom Council for Psychotherapy. Marc Seale, Chief Executive and Registrar, Health Professions Council. Professor Diana Waller, Chair, Counsellors and Psychotherapists Professional Liaison Group of the HPC. Certificates are provided at the event. We regret that refunds cannot be given in any circumstances but you may give your ticket to someone to attend in your place if you find you cannot attend. CONFER takes its responsibility for environmental impact very seriously. Please try and attend by public transport. Nearest tube: Holborn. What would the proposed regulations mean for my practice, modality and training organisation? What would they mean for my patients/clients? Is HPC regulation a fait accompli or a work in progress? 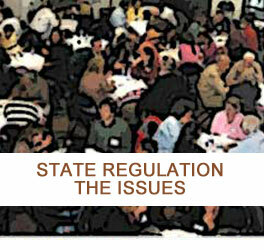 What kind of regulatory structure would be best? The road towards the state regulation of psychotherapy and counselling has been extremely complex, involving numerous organisations, lobby groups, meetings and documents. The government's decision to regulate the profession by the Department of Health via the Health Professions Council (HPC) is seen by many as a positive, progressive and necessary step in raising standards of training, practice and patient protection. But a significant number, possibly even a majority of practitioners, are deeply concerned that this will have negative consequences for both therapists and patients by over-controlling and ultimately undermining the rich culture, deep knowledge-base and relational quality of this work. Until the transfer of qualified practitioners' names to the HPC register there may be a narrow window of opportunity for the agreements on the HPC's standards of proficiency and academic thresholds for qualification to be refined. A more complex model, with closer alignment to the professional community, may resolve the problem of regulation for some. For others, a far more radical solution will be sought. Regardless of perspective, all practitioners face a considerable challenge in managing the consequences of great change in our community. This conference is firstly a fact-finding opportunity to clarify the status of the negotiations, which government decisions are irreversible, which are satisfactory, and what aspects remain open to revision. You will have the opportunity to put your questions and concerns to a panel of individuals leading the introduction of state regulation, those opposed to it and impartial experts. A significant part of the day will be given to a structured enquiry through which you can explore the ways the profession is best managed, how patients are best protected, and to clarify your personal strategies for managing the impact of these changes in your own professional life. The final section will be an opportunity to feed back your findings to the panellists. Because state regulation of psychotherapy and counselling is a complex and emotive matter that is dividing the community we are seeking to assemble a panel of speakers who evenly represent a spectrum of views on this matter in order to create a neutral and balanced space for this conversation.